Sugar and Spice – Released May 19th, 2015 from Golden Fleece Press (available on Golden Fleece Press, – if you want an autograph add a comment to your GFP order – Amazon, Kobo, nook, and more. You can even order it at an Espresso Book location. Caught in a smog-storm, with a dead crew member, a disabled navigation system, and an estate full of guests. The Long Estate usually spends the season floating off the edge of The London, the Sugars and the Crusts frittering their days away in an endless string of parties and diversions while Blagger, Spinner, and the rest of the crew make sure everything runs smoothly. But now The London says they’re off course, and the have to be cut loose. If they can’t fix the navigation they’ll slam into one of the other estates. Or The London. Or the ground. Blagger and Spinner have only hours to find their missing equipment, solve a murder, and still keep the guests from realizing there’s a problem. They can probably manage it. As long as nothing else goes wrong. 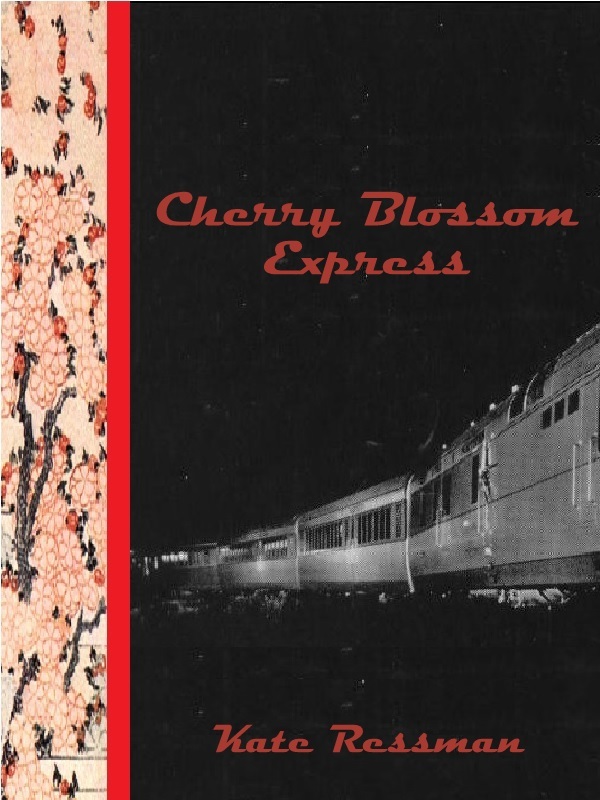 Cherry Blossom Express – Released November 15, 2014 from Golden Fleece Press (available on Golden Fleece Press (if you want an autograph add a comment to your GFP order), Amazon, Kobo, nook, and more. You can even order it at an Espresso Book location. Trapped on the Cherry Blossom Express; speeding toward Boston, Iko Maynard’s life has taken a turn for the weird. The train is missing stops. The passengers around her are disappearing. The crew is polite but unhelpful. Iko can only rely on herself and the other handful of passengers who are still awake. But there’s only one way to survive this trip. Can Iko make the ultimate leap of faith? “The Dog Prince” available on Aurora Wolf.